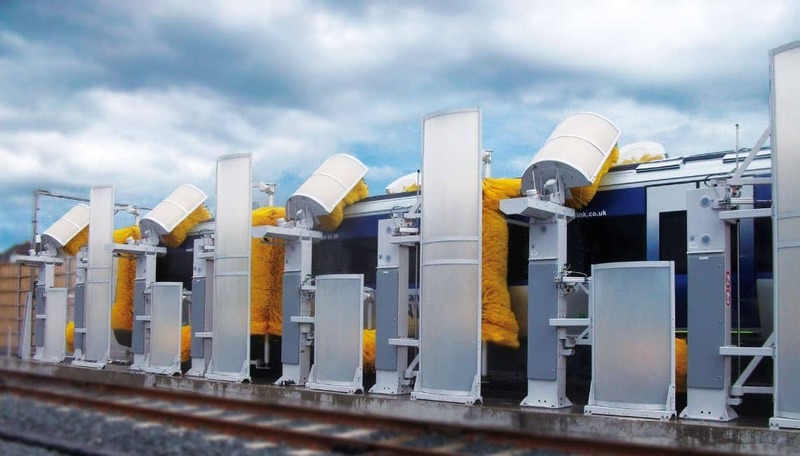 The train wash unit model C1000 SOA can be designed as a stationary wash unit for trains with or without pantographs, without being restricted by the length of the train. 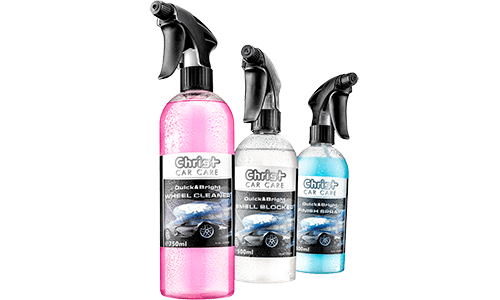 The side surfaces and alternatively the slanted roof surfaces can be cleaned during the drive-through process (with additional wash cylinders at a brushsurcharge). 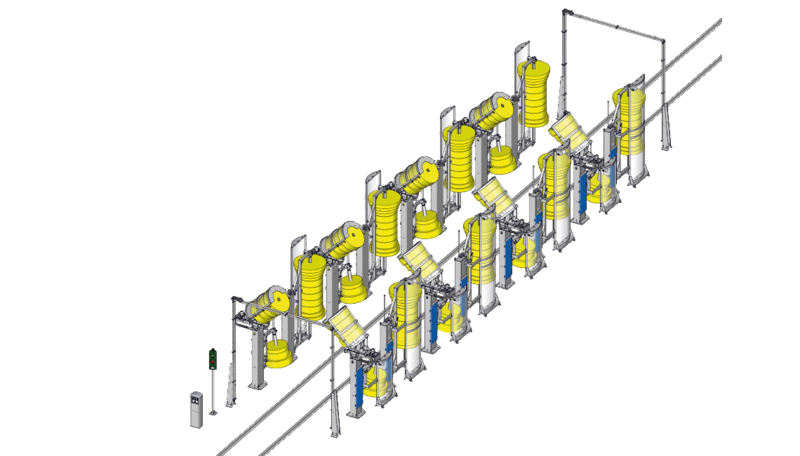 Depending on the speed at which the train drives through the wash unit, the unit is designed with a respective amount of cylinder pairs for applying the wash chemicals and washing off the dissolved grime. The unit is completed with free-standing spray and rinse stands. This wash unit concept can be installed outdoors as well as in drive-through wash halls. 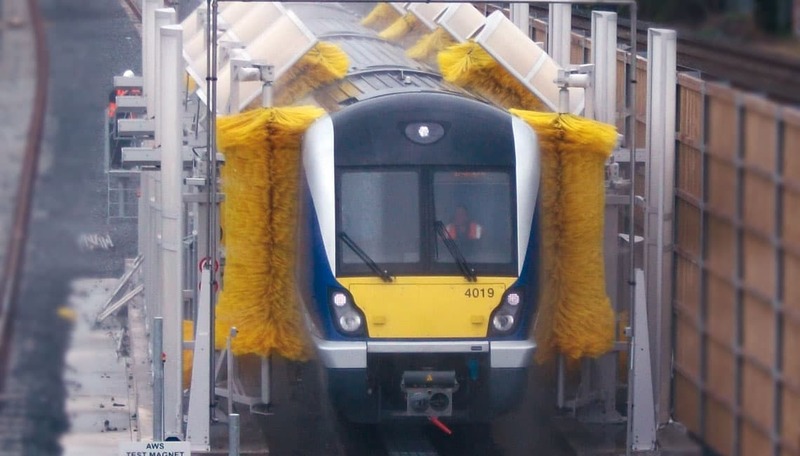 The frame construction of the Train Wash C1000 SOA comes in the standard colour RAL 9007 grey aluminium and is powder-coated. The vehicle passes through the wash, self-propelled, for the side wash. Front and rear wash is not possible.